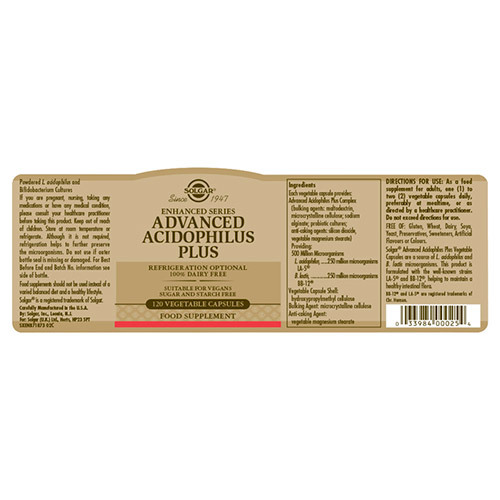 Solgar® Advanced Acidophilus Plus Vegetable Capsules are a non-dairy formulation containing 2 strains of specially cultured strains of L. acidophilus (LA-5®) and B. Lactis (BB-12®). Each capsule provides 500 million specially cultured strains of L. acidophilus and B. lactis. 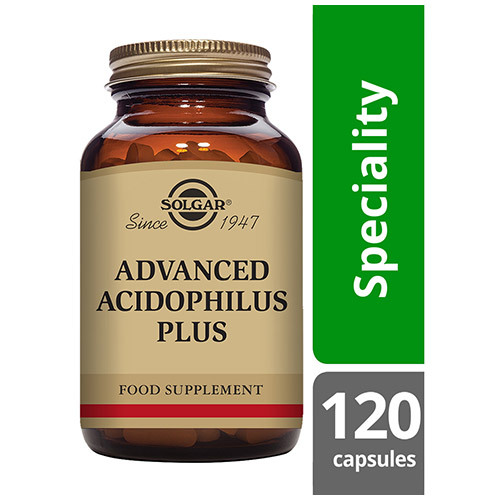 Solgar® Advanced Acidophilus Plus Vegetable Capsules are a safe way to increase the level of friendly bacteria in your gut. Both strains have been granted Qualified Presumption of Safety (QPS) by the European Food Safety Authority (EFSA). 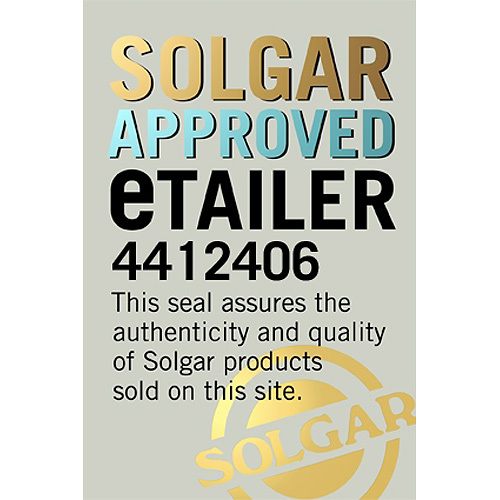 Also contains: Bulking agents: maltodextrin, microcrystalline cellulose, sodium alginate, probiotic cultures, Anti-caking agents: silicon dioxide, vegetable magnesium stearate, vegetable capsule shell (hydroxyproplmethyl cellulose). 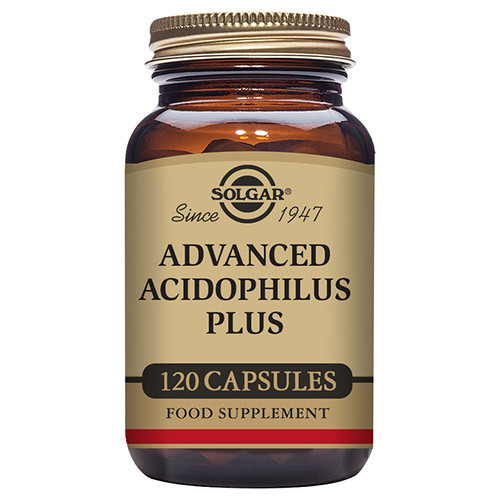 Below are reviews of Solgar Advanced Acidophilus Plus - 120 Vegicaps by bodykind customers. If you have tried this product we'd love to hear what you think so please leave a review. The product was value for money. Large bottle but can decant into smaller container.. product arrived on time and was well wrapped. 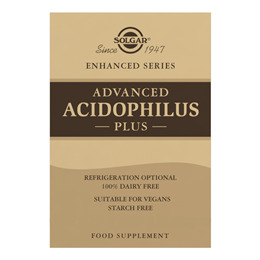 Solgar® Advanced Acidophilus Plus Vegetable Capsules are a non-dairy formulation containing 2 strains of specially cultured strains of L. acidophilus (LA-5®) and B. Lactis (BB-12®). Each capsule provides 500 million specially cultured strains of L. acidophilus and B.lactis.